For our last adventure of 2017 we went to Palm Springs for a hike in Murray Canyon. The weather was perfect and the scenery was beautiful. For pictures, click here. Today I was finally able to get a few pictures of Lupo, our new cat. He's about a year and a half old and he's had a hard life. He was born feral, captured at around six months old and then given up to a rescue shelter after six months of living in what was probably a not very welcoming environment. 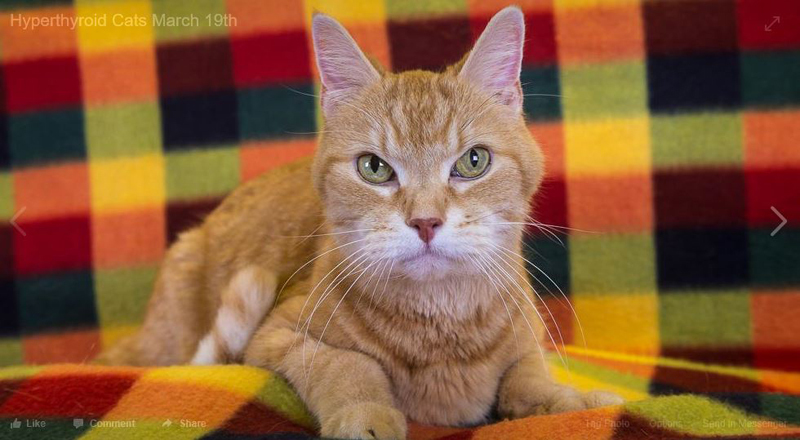 He hadn't been socialized at all, so he spent five months at the shelter since no one was interested in a non-social adult cat. We've had him for a little over one month and he's finally getting somewhat relaxed although extremely skittish. He's emerged from under a bed and this afternoon I caught him napping in our living room. 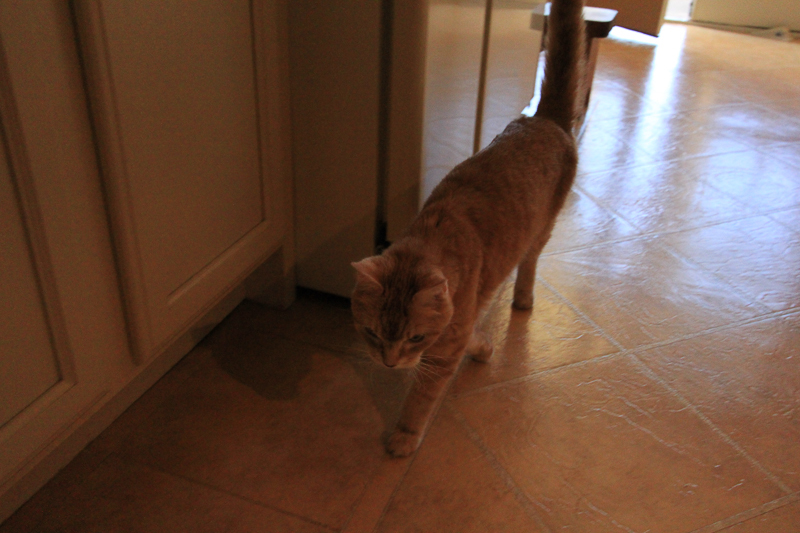 Even though he's extra cautious, he is a very sweet and lovable kitty. And he's very good looking! To avoid all of the holiday chaos, we were in Yucaipa today to hike the Wildwood Canyon. All of the peace and serenity there made us forget about all the craziness brought on by the holiday shoppers. For pictures, click here. I just finished reading a wonderful biography about Lt. Col. Charles Lee Harrison entitled A Double Dose of Hard Luck. It was written by Leo Aime LaBrie and it's now available on Amazon. Charlie was one of the very few men in American history who were imprisoned as POWs during two different wars, World War II and the Korean War. It's quite a story! We had a real treat today by going to the new Italian marketplace, Eataly, in Century City. It is overwhelming! For pictures, click here. We had heard about the Heritage House in Riverside and it's been on our "to do" list for awhile. We found out that they were having their annual Christmas Open House today and we were there. For pictures, click here. Today's adventure was very interesting since we were able to sit with some meerkats in their forever home. For pictures, click here. The Norton Simon Museum in Pasadena is currently exhibiting all 72 of their Edgar Degas sculptures for the first time. It's a wonderful show. For pictures, click here. Each year the Mission Inn in Riverside has its big "Switch-On" celebration simultaneously lighting 5 million Christmas lights while fireworks illuminate the sky. We made a serious effort to see it this year, but the crowds made it a very uncomfortable experience. While this picture really doesn't show it, everyone was packed in like sardines and it was impossible to move. So we bailed and saw the fireworks at a distance while we were driving on Route 60 headed home. An old adobe house in Yucaipa has been recently restored and is open to the public after being closed for five years. We saw it today. For pictures, click here. We love the desert and today we were back in the Mojave to see the Mitchell Caverns near Essex, CA. For pictures, click here. We were in Los Angeles today, in Griffith Park, to see the American Indian Arts Marketplace at the Autry Museum of the American West. For pictures, click here. Today we were in Riverside to see the Sherman Indian Museum and we had a great lunch at a local landmark, Tio's Tacos. For pictures, click here. Today we went to Ontario to see the canning operation in full swing at the Graber Olive House. What an operation! For pictures, click here. Our adventure today was only a half hour away to explore the Highlands Springs Ranch & Inn in Cherry Valley, CA. It's a wonderfully relaxing place with a great restaurant. For pictures, click here. After some deliberation, we decided to take a big gamble and participate in today's adventure. We were uncertain about it since it was a three hour tour of a local cemetery that began at 3:00 PM. The cemetery is the Mt. View Cemetery in San Bernardino and the tour was given by the San Bernardino Historical and Pioneer Society. The tour was led by Nick Cataldo of the Historical Society and it was partially a reenactment of the area's past and it also served to honor the "resting residents" who had originally settled in this area. Participants were encouraged to dress in period attire. The cemetery is beautiful but after we were into the tour for an hour, we decided to bail out. It was interesting but some of the speakers tended to go on and on about things that were irrelevant to the person they were commemorating. The gentleman with the microphone is Zack Earp, who is a great-great-great grandnephew of James Earp whose grave is marked by the white flag. We had a great time in Los Angeles today touring some beautiful buildings, riding the Angels Flight Railway and having a killer lunch. For pictures, click here. We took a long drive up into the Mojave Desert today to see the Red Rocks Canyon State Park. The scenery is spectacular and we loved it. For pictures, click here. We were in Claremont today to visit their new Claremont Museum of Art located in the old Claremont Depot building. It's a beautiful space, wonderfully restored. For pictures, click here. 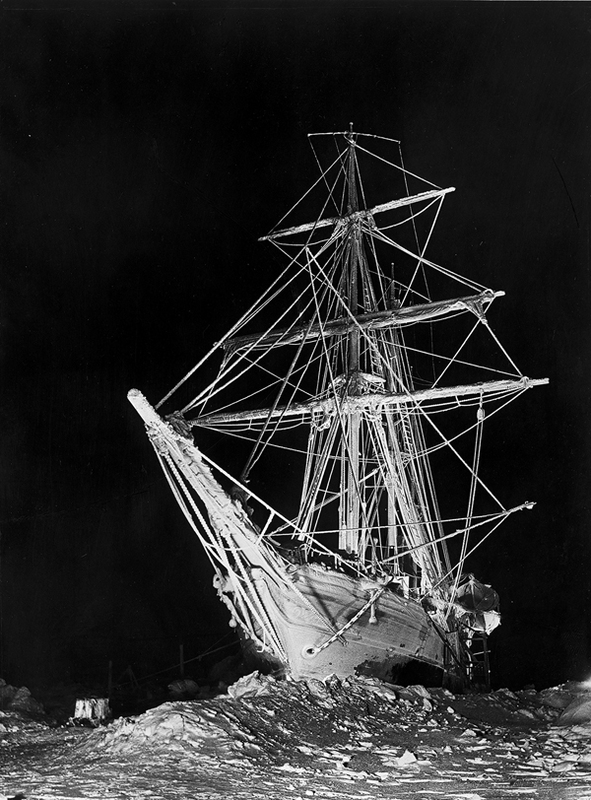 We were back at the Bowers Museum today to see their latest exhibit, Endurance: The Antarctic Legacy of Sir Ernest Shackleton and Frank Hurley. 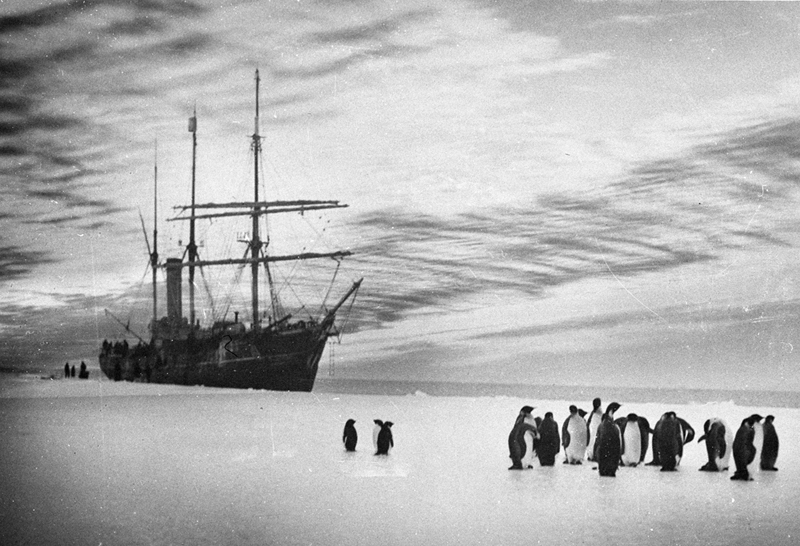 Endurance presents Frank Hurley�s photographs of the Imperial Trans-Antarctic Expedition (1914-1917) undertaken by renowned explorer Sir Ernest Shackleton and his crew. It is said that Hurley�s photographs are possibly the greatest known photographic record of human survival. Unfortunately, photography wasn't allowed, but here are two photos I found on the Internet. We also saw another exhibit while we were there called "Gemstone Carvings: The Masterworks of Harold Van Pelt." For over 35 years Harold Van Pelt has quietly been perfecting the art of carving quartz, rock crystal and agate gemstones. Van Pelt�s working of the stone down to paper-thin walls brings out the gorgeous natural quality and colors of agate and gives quartz the transparency of glass. His work is stunning! We've had an old ranch house in Yorba Linda on our list of places to see and, quite unexpectedly, they had an open house today. For pictures of the Susanna Bixby Bryant Ranch Museum, click here. We went on a big adventure to Victoria, British Columbia and we loved it. For pictures, click here. There's a whole lot of shaking in Redlands right now. There has been 29 recorded earthquakes in the last fifteen hours ranging from 0.8 to 1.9 in magnitude. Today we drove over to beautiful Rancho Palos Verdes to see the Point Vicente Lighthouse and the adjacent Interpretive Center. It was a spectacular day on the coast! For pictures, click here. 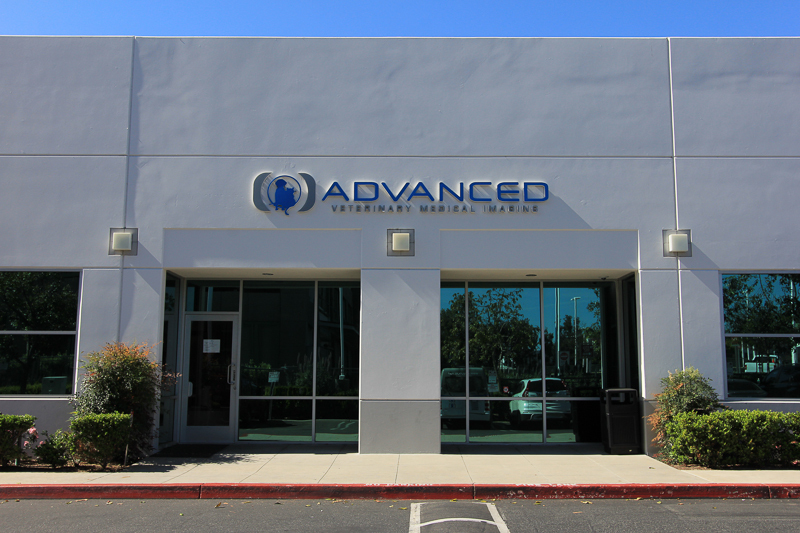 We were in Los Angeles over the weekend to attend a family function, but we had enough free time to fit in a small adventure in Encino. The destination was the Los Encinos State Historic Park and it is beautiful. For pictures, click here. Today we drove down to San Diego County to visit the Oasis Camel Dairy in Ramona, CA. Where else can you ride a camel and feed him watermelon on the same day? For pictures, click here. Today we went to Garden Grove to visit the Stanley Ranch Museum and Historical Village. It was a real treat! For pictures, click here. Our Agave plant has fascinated us for the last four months as it went into its blooming stage. However, after the bloom, it dies and the time comes to remove it. To see its entire life cycle click here. Neither of us had ever been to Seal Beach before, so we both very curious about it before we went today. Our purpose was to visit the Red Car Museum, which was great, but we really felt comfortable in this city by the sea. For pictures, click here. We decided to spend the morning down on the farm, specifically Amy's Farm in Ontario, CA. We saw lots of pigs, goats, cows, horses and chickens, but it really wasn't that photogenic. However, we had a great lunch afterwards at Cannataro's Restaurant in Chino. Judy had their Italian meatloaf with a salad that had an unbelievably creamy blue cheese dressing. I had some Minestrone soup and their linguini with clam sauce. The food was fabulous! We stayed close to home today and visited the San Timoteo Canyon Schoolhouse right here in Redlands. The building dates back to 1882 and it is beautifully preserved and restored. For pictures, click here. Even though it's been very hot here lately, we cooled today by visiting the Storrier Stearns Japanese Garden in Pasadena. It was a real treat. For pictures, click here. We drove up to the Big Bear Valley today to visit the local historical society's museum. What we found was a small village jammed with wonderful artifacts. For pictures, click here. We were at the Bowers Museum today to see one of their latest exhibits, Stark Beauty: The Photography of Edward Weston. 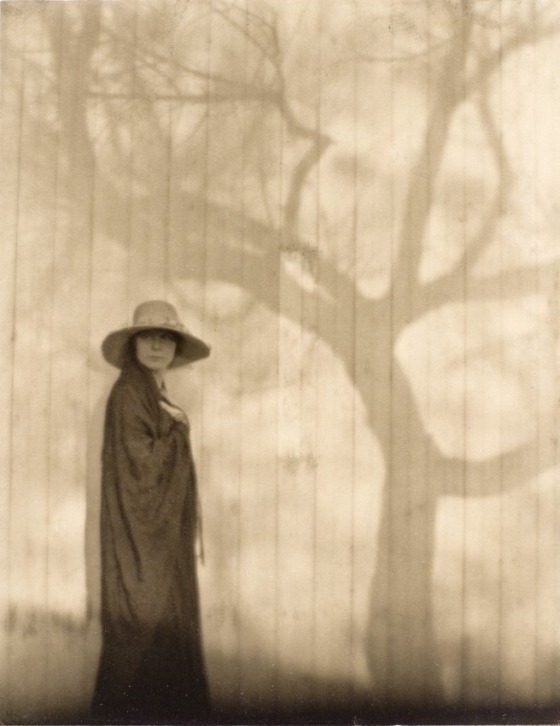 Edward Weston was a legendary 20th-century American photographer. He has been called "one of the most innovative and influential American photographers�" and "one of the masters of 20th century photography." Stark Beauty captures Weston much in the same way the artist captured the world through his lens. No photography was allowed, but here is the one photograph that was the centerpiece of the exhibit, "Prologue To A Sad Spring (Margrethe Mather)," circa 1919. We traveled to Laguna today to do some fossil hunting. It was a beautiful day and we enjoyed the cool ocean breeze. For pictures, click here. Judy took a real trip down memory lane today because we visited the San Fernando Valley where she grew up. The destination was the Valley Relics Museum that has an unbelievable collection of San Fernando Valley memorabilia. For pictures, click here. Today we attended the anniversary celebration for the Citrograph Printing Company here in Redlands. 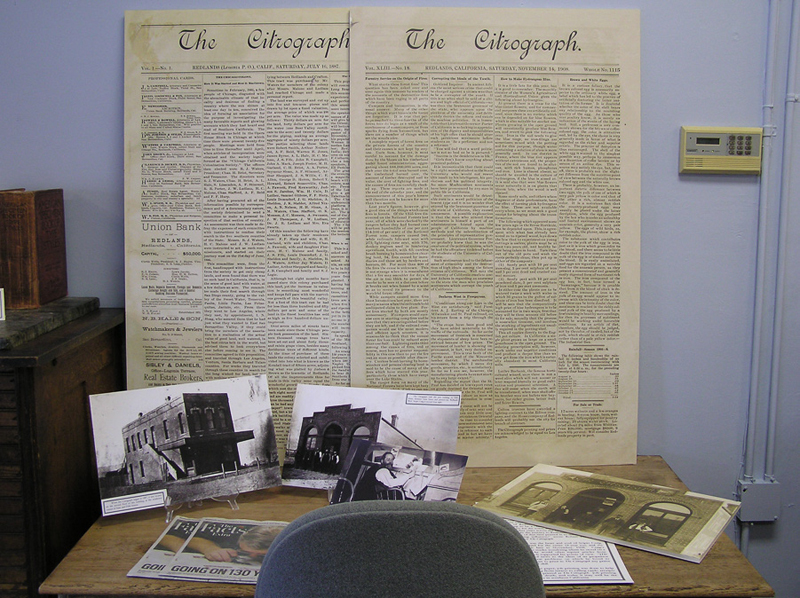 The Citrograph was established in July 1887 as the first newspaper in Redlands and, after 130 years in operation, it is the longest running printing company in California. 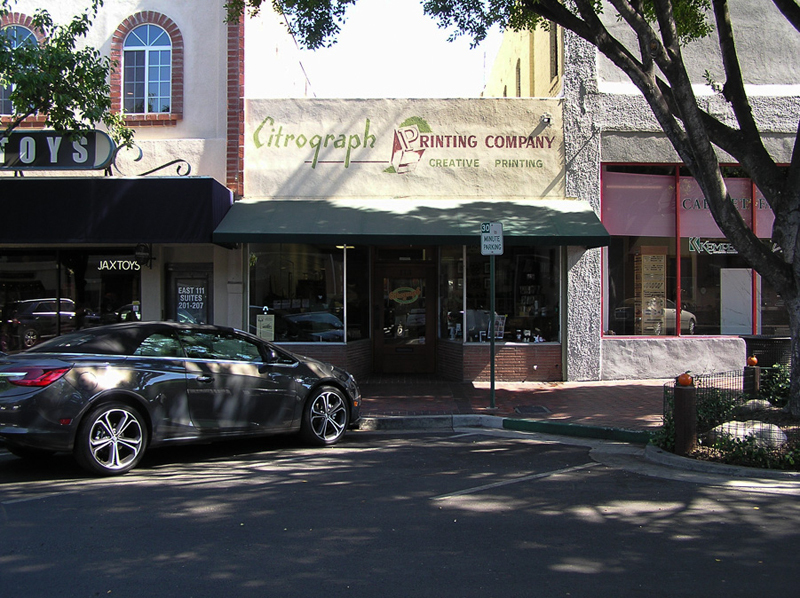 In fact, since Redlands was incorporated on December 3, 1888, the Citrograph is older than the city! Another day, another festival. Today's was the Lotus Festival in Echo Lake Park in Los Angeles. The blossoms were spectacular. For pictures, click here. Today we attended an Obon Festival in Anaheim, CA to see what it was all about. Since the entertainment didn't start until the evening, it was all about food. For pictures, click here. Today we toured the beautiful Old Mill in San Marino, CA, which is the oldest commercial building in Southern California. For pictures, click here. We had a really fun adventure today at LAX. We gained access to the observation deck of the Theme Building and we had a great lunch at the Proud Bird Restaurant. For pictures, click here. We had a small adventure today in Costa Mesa to tour the Diego Sepulveda Adobe. The almost 200 year old adobe has been beautifully restored and it is the centerpiece of a five acre park. For pictures, click here. We have visited many botanical gardens in SoCal, but today's was the best one that we've ever seen. It's the Sherman Library and Gardens in Corona del Mar and please enjoy the show by clicking here. We went to Laguna Beach today to see its "Mysterious Tower," also known as the "Pirate's Tower." In addition to seeing the tower, there was a little drama as well from an almost drowning. For pictures, click here. We drove over to Glendora today to visit their Centennial Heritage Park and it was a lot of fun and a beautiful park. For pictures, click here. Today we stayed close to home and visited the Ya'i Heki' Regional Indian Museum in Perris, CA. For pictures, click here. Today we drove north to the high desert to visit the Forever Wild Exotic Animal Sanctuary in Phelan, CA. The sanctuary is dedicated to preserving the lives of abused, neglected and abandoned exotic animals through rescue, rehabilitation and education. Getting pictures of the big cats was difficult because of their cages, but this is a nice shot of Princess Diana, a white tiger that used to be a Las Vegas performer. Before going to the sanctuary we stopped for brunch at Rick's Roadside Cafe in Pinion Hills, CA for their delicious French toast. I had it with their bread pudding topping and Judy had it with bacon and eggs. Today's adventure was in Banning for the 53rd Annual K�wet Celebration at the Malki Museum. We didn't stay as long as we did at last year's K�wet since there wasn't as much going on this year and we liked last year's hoop dancer a lot better. For pictures of him, click here. Of course the most interesting plant activity in our backyard has been the Agave "bloom," that has been going on for almost two months now. To see its progress, click here. However another plant caught my eye this morning, which is our potted palm tree. We planted it in September 2011 to hide the stump left from our beautiful mimosa tree that perished due to insect infestation. The palm has grown very slowly over the last five and a half years but, something new is happening. It's producing seeds for the first time and it's beautiful! Today we were in Hollywood to see the Hollywood Heritage Museum located right across the street from the Hollywood Bowl. For pictures, click here. Today we were in the desert to see the Mission Creek Preserve, which is part of the Sand to Snow National Monument. For pictures, click here. When we were in Orange on May 9th, we noticed a restoration hardware store called Muff's. Since we wanted to replace the door knob plates on our bathroom door, we went back to Orange today to see what we could find. For pictures, click here. For Nancy's last full day in California we headed to the beach to see the Crystal Cove Historic District in Newport Beach. Even with the clouds, we had a wonderful time. For pictures, click here. My sister Nancy is visiting us and we took her to the Hilbert Museum in Orange today. Between the museum and lunch at Watson's Soda Fountain and Cafe, we all had a great time. For pictures, click here. Today we had a special opportunity to see and hear a pretty famous cameraman, Luis Fuerte, who is best known for his association with Huell Howser. Luis gave a brief talk at the Redlands Community Senior Center and then opened up the conversation with questions from members of the audience. His relationship with Huell was primarily professional and their socializing was probably kept to a minimum. Let's face it, if you spend countless hours with a co-worker week in and week out, there's not much point to hang around with each other when the workday ends. 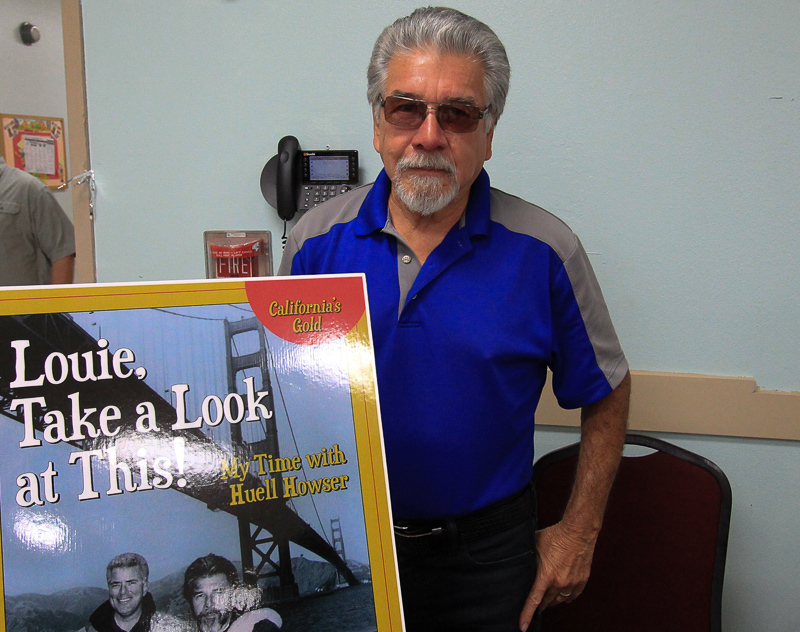 Luis was also promoting his book about his time with Huell, aptly titled "Louie, Take a Look at This!" We bought a copy and are looking forward to reading it. Today we saw an extraordinary production of the Ramona Pageant that is held every spring in Hemet, CA. Everything about it can only be expressed in superlatives, it is an unforgettable event. For pictures, click here. We've been trying to pull off today's adventure since late 2016, but something always came up throwing off our plans. However, we finally went to see the Bob Baker Marionette Theater in Los Angeles today and it was worth the wait. For pictures, click here. 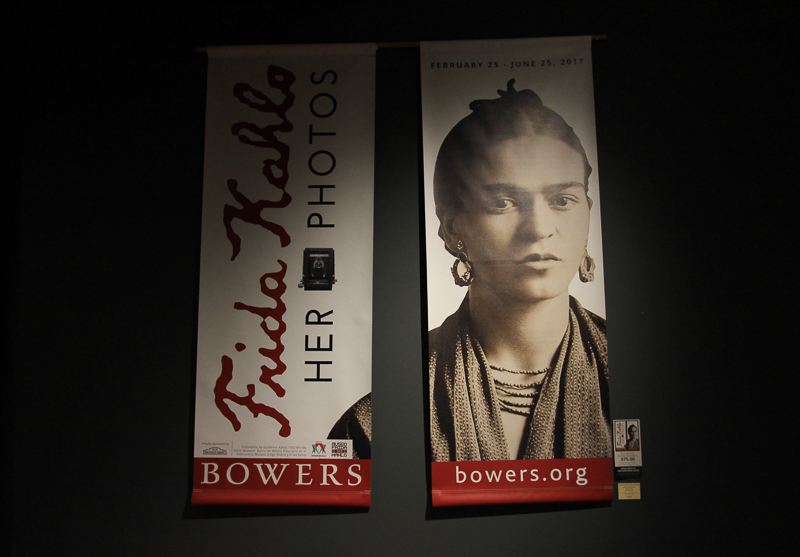 Today we visited the Bowers Museum in Santa Ana to see their new exhibit, Frida Kahlo - Her Photos. The exhibit offers an intimate glance into the life of one of the world�s most beloved artists. After her death in 1954, the collection was locked away by her grieving husband Diego Rivera in Kahlo�s Mexico City family home, Casa Azul or the Blue House. Frida employed a na�ve folk art style to explore questions of identity, post-colonialism, gender, class, and race in Mexican society. Her paintings often had strong autobiographical elements and she mixed realism with fantasy. No photography was allowed. Since we were in Santa Ana, we decided to have brunch at Norm's before going to the museum. Our backyard Agave plant is entering the last stage of its life cycle. I intend to follow its progress until the plant eventually dies. For pictures of its status, click here. Well today Judy and I acted like a couple of kids when we went to see Circus Vargas under the big top. It was a blast! For pictures, click here. Today we were in Irvine, CA to see the latest exhibit at the Irvine Museum Collection at the University of California called "Along El Camino Real." The exhibit explores the history of the California Missions that were connected by the El Camino Real (the Royal Road or the King�s Highway), which today approximates CA Highway 101. 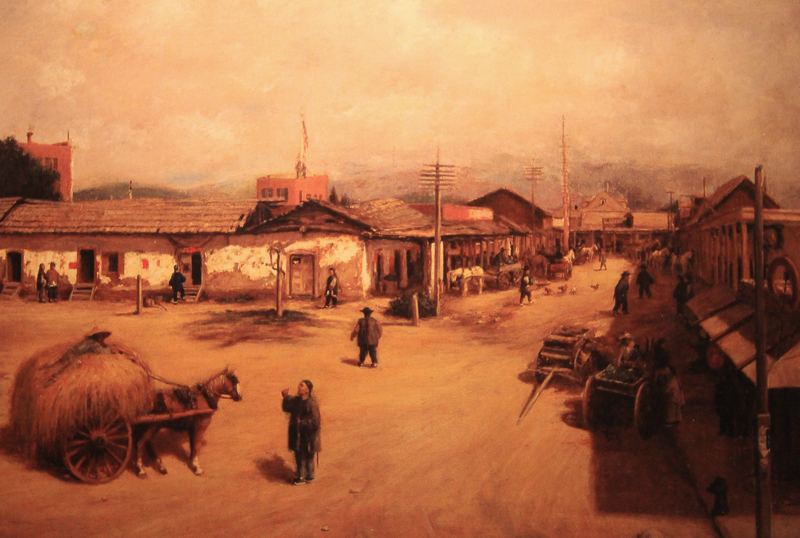 Unfortunately no photography was allowed so all that I could salvage was this one picture below called "Chinatown, Los Angeles 1886" painted by Alexander Harmer. The exhibit is beautiful, but it's too bad that I couldn't make a page of it. However we did have a nice lunch afterwards at Il Fornaio, which is also in Irvine. Judy had their "Focaccetta con Pollo," which is a chicken breast sandwich on rosemary focaccetta with smoked mozzarella, avocado, tomatoes, mushrooms, zucchini and Caesar dressing. She liked it but there was too much bread. I had their "Ravioli alla Lucana," which is organic spinach ravioli filled with Italian sausage, ricotta, Grana Padano and fennel; topped with fresh tomatoes, spicy tomato sauce with imported peperoncino, pecorino pepato cheese and fresh basil. My dish was wonderful. 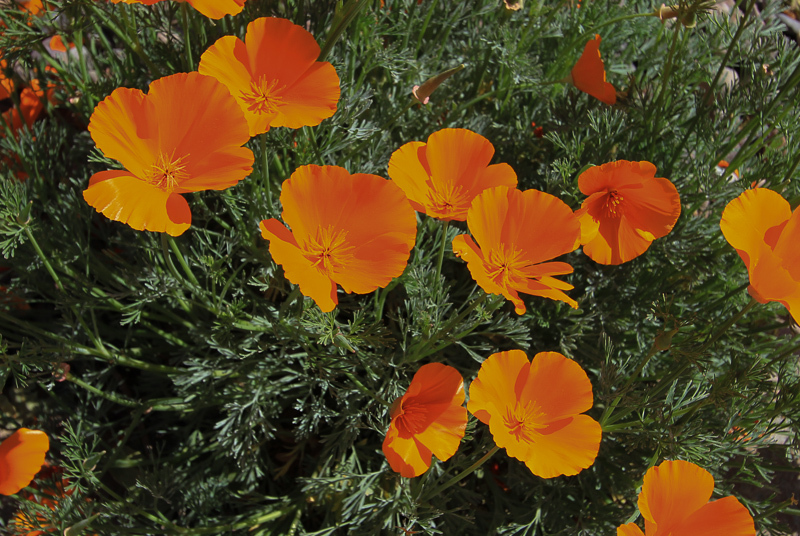 The California poppies are blooming and they're beautiful! We needed a change of scenery today after quite a few days of grieving so we headed to Claremont to see the Claremont Colleges. In our two hour walk we were able to take in five of the seven campuses. For pictures, click here. It's a sad day today. Dante never recovered after his radiation treatment and he had to be euthanized. We kept trying to restore his appetite with medication but he stopped eating and drinking four days ago and this afternoon he was crying out in pain. 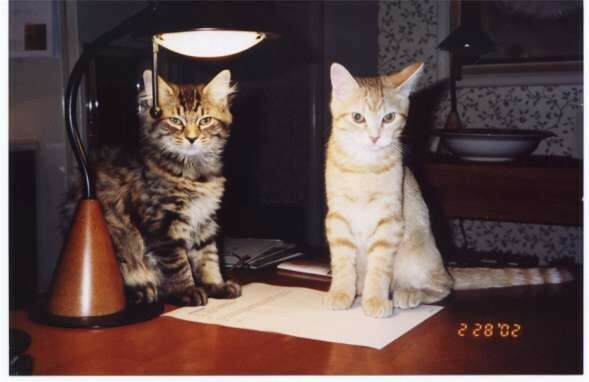 We had adopted Dante and his brother Bello on January 31, 2002 and the picture below was taken when their lives were all before them at about 3 1/2 months old. They loved each other and Dante (on the right) never fully recovered when Bello passed away on May 28, 2014. Judy and I miss them both terribly now, but what joy our babies gave us through all of those years. Kisses for Bello and kisses for Dante. We're picking up Dante today after a long, six day hospital stay for him. Thankfully, we've been able to watch him between 8:00 AM and 8:00 PM on the AVMI web cam. 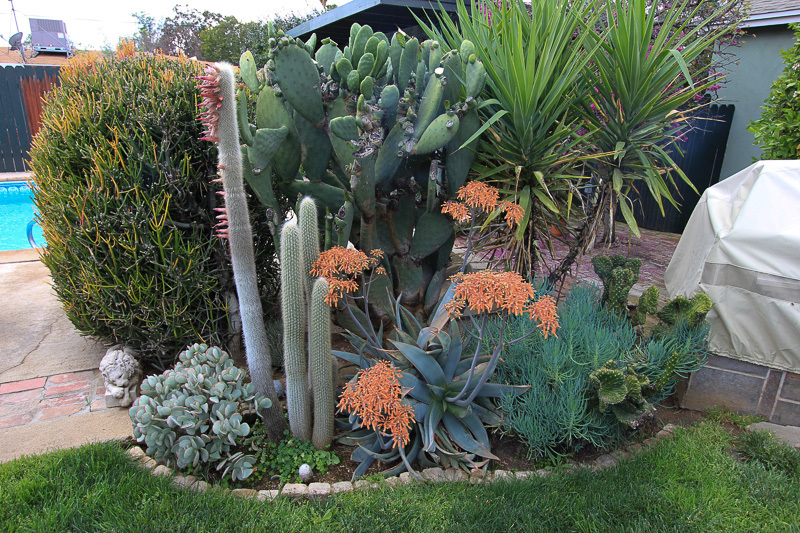 Our backyard cacti and succulents are in bloom and they are very pleasing to the eye. 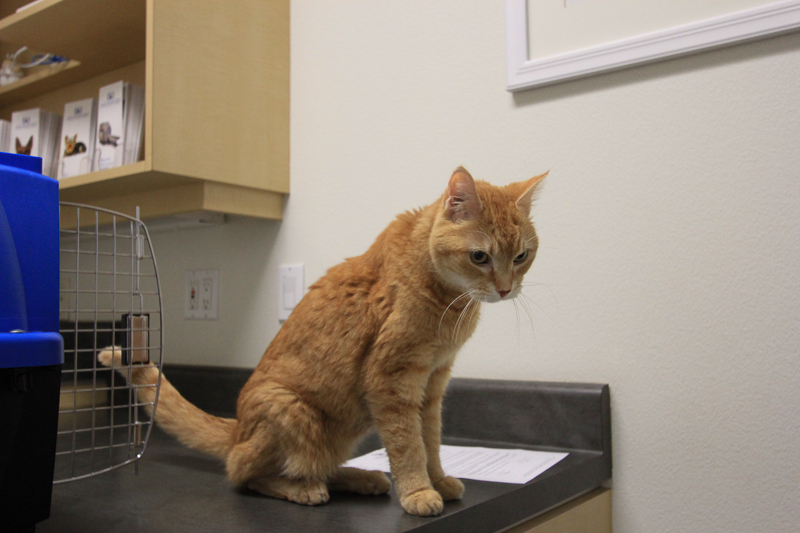 Our little baby Dante was diagnosed with hyperthyroidism last week, so we immediately made arrangements with Advanced Veterinary Medical Imaging of Tustin for his treatment. The treatment is radiation and today he will be injected with radioiodine. 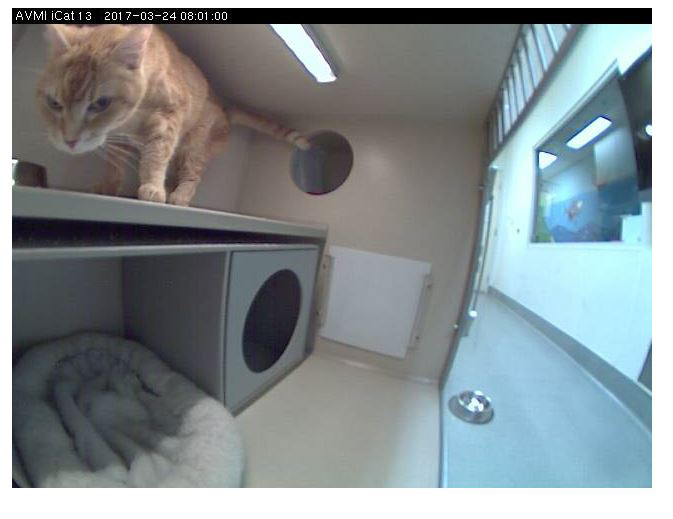 With a little bit of luck, he'll be released on Thursday, once his radioactive levels go down. AVMI will keep us updated on his progress through phone calls and Facebook posts, like the one they posted yesterday after he was admitted. There's been a lot of press lately about the wildflowers in the Anza-Borrego Desert State Park, so we made the drive today. Compared to other years there, this year's bloom was extraordinary, which made the long drive worthwhile. For pictures, click here. We had both an interesting and a fun adventure today in Los Angeles. The interesting part was visiting the Japanese American National Museum, and the fun part was going to Smorgasburg LA. For pictures, click here. Today we drove south to Carlsbad to visit the Hubbs Seaworld Marine Fish Hatchery and it was a great tour. for pictures, click here. Today we had a wild adventure in the Mojave Desert, visiting the Giant Rock and Integratron, both located in Landers, CA. For pictures, click here. We stayed close to home today and toured Caroline Park in Redlands. All of the recent rain brought out a lot of color. For pictures, click here. We were in Costa Mesa today to visit their historical society museum. Although it is small, it still was interesting. For pictures, click here. We were back in Palm Springs today to visit Modernism Week 2017. This is always an adventure because we never know what we'll see there. For pictures, click here. We were in Anaheim today to see the Muzeo Museum and to visit the Anaheim Packing District. However, it's very difficult to chose a restaurant in the Packing House. For pictures, click here. We were in Los Angeles today is see the Craft and Folk Art Museum, located by LACMA and the La Brea Tar Pits, as well as to have lunch at R�publique. For pictures, click here. We had a great adventure today at the W. K. Kellogg Arabian Horse Center in Pomona, CA. There's a "Sunday Show" of horses that's been running since 1926 and we were fortunate to see it. For pictures, click here. We had a great little adventure today in Claremont visiting the Pomona College Museum of Art. They are currently exhibiting some Andy Warhol prints. For pictures, click here. Today we drive into the upper Mojave Desert to visit Ridgecrest, CA. We toured two museums there; the US Naval Museum of Armament and Technology and the Maturango Museum. For pictures, click here. We took a short trip today to San Bernardino to visit the 1981 Heritage House run by the San Bernardino Historical and Pioneer Society. For pictures, click here. We went back to see portions of the Museum of Tolerance that we didn't see on our first trip in August 2016. For pictures, click here. We took a short drive today over to Ontario to see the beautiful San Secondo d'Asti Catholic Church. Surrounded by office and industrial buildings, this church still actively serves the community and is a treasure to behold. For pictures, click here. We drove into Los Angeles today to see the Natural History Museum in Exposition Park. It's been raining on and off here for weeks and we decided that whether it rained or not today didn't matter, since we'd be inside. As luck would have it, we only had a few sprinkles and a lot of dinosaurs! For pictures, click here. We drove south today down to San Jacinto to see the local historical museum and the Francisco Estudillo Mansion. Both buildings are located on a six acre city park and it was a nice little adventure. For pictures, click here. We drove to Palm Desert today to see the museum run by the local historical society. Unfortunately, the museum's hours were changed but, they haven't changed their web site yet. We were very disappointed to see that the museum was closed. On a bright note, we had lunch at Piero's PizzaVino on El Paseo. The calamari were just okay but the Quattro Formaggi Pizza was outstanding. The secret to the four cheeses (Gorgonzola, Parmesan, Mozzarella, Taleggio) was that the pizza was drizzled with raw honey after it came out of the oven. It was unbelievably good.